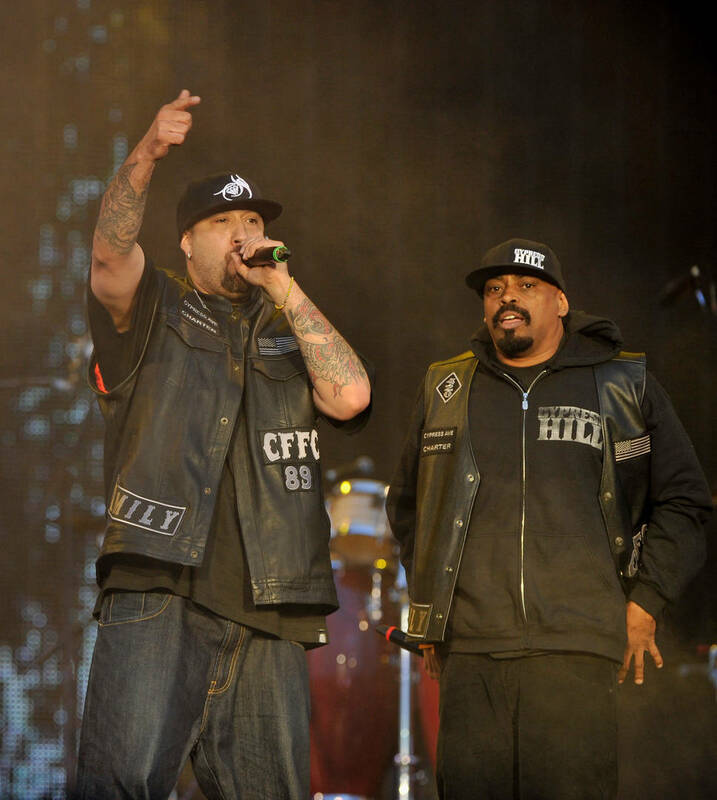 Cypress Hill will become the first Latino American Hip-Hop group to receive a star on the Hollywood Walk Of Fame. There are only a few rap acts that have been inducted into the Hollywood Walk of Fame. Queen Latifah, Pharrell, Diddy, LL Cool J and Snoop Dogg have been received a spot on the Hollywood Walk over the years. This week, one of hip-hop's most iconic groups will be honored with their own star on the Hollywood Walk of Fame. Cypress Hill's career has spanned over 30 years. Along the way, they've broken barriers and became the first Latino American hip-hop group to have platinum-selling albums with over 20M albums sold worldwide. This Thursday, they'll be inducted into the Hollywood Walk Of Fame, making them the first Latino American hip-hop group to receive such honor. "We are proud to honor the first Latino American hip-hop recording group," producer of the Hollywood Walk of Fame, Ana Martinez, told ABC7. "They have been successful as a group for three decades and we know they will continue their success for many years to come." The ceremony is set to take place on April 18th at 11:30 a.m. promptly in front of Green Leaf Restaurant at Eastown. The ceremony will include guest speeches by George Lopez and Xzibit. In 2018, the group released Elephants On Acid, which served as their first studio album in eight years. You could watch the livestream of Cypress Hill's induction at http://www.walkoffame.com/ this Thursday.